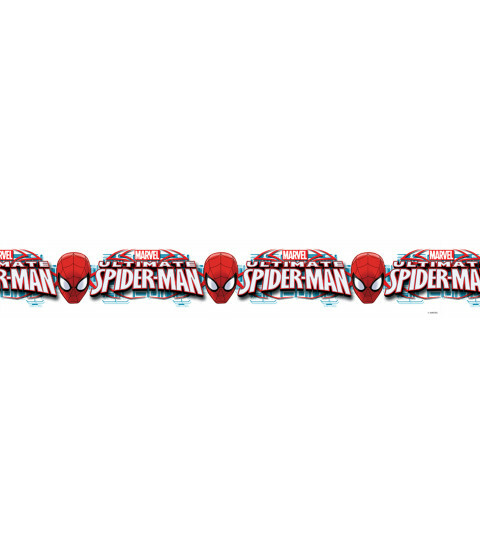 Create a Spiderman themed room with minimal fuss and effort with this official wallpaper border. The self adhesive backing makes the border incredibly easy to apply, with no need for messy glue or paste. 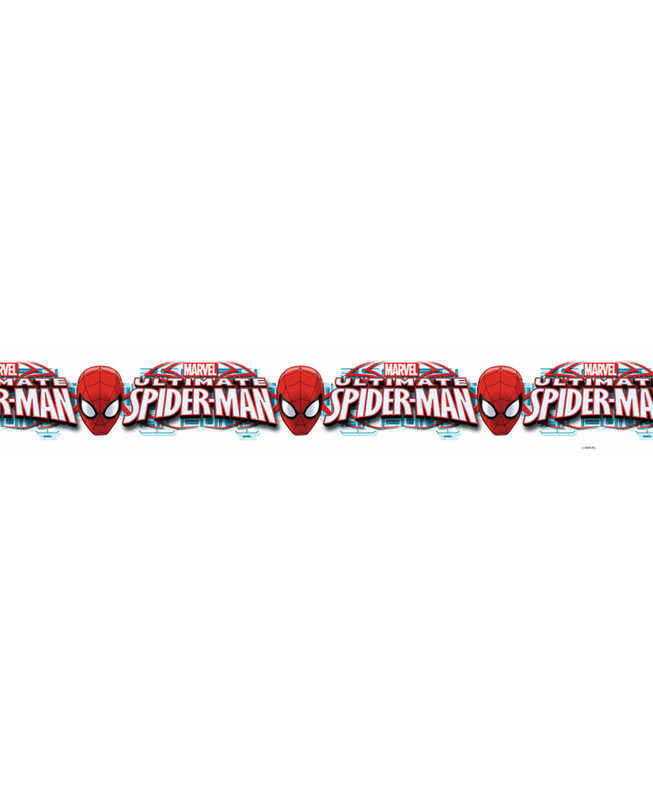 The cool design features Spiderman heads alternating with the Marvel Ultimate Spiderman logo on a white background.